We are Andiamo luggage. We are dedicated to creating stylish luggage you cannot wait to be seen with. No more dreaded trips to the airport or serial packing procrastination. This is luggage you will be itching to take out into the world with you; luggage that is worthy of standing and rolling by your side. Our hope is that with your Andiamo luggage, you will have the confidence to tackle whatever awaits you on your journey ahead. Because when you look good, you feel good and we believe that is how every great adventure should begin. From fashion runway to airport runway, the modern vintage styling carries through in our Andiamo Classico collection. A statement piece in itself, our high gloss finish luggage adapts as a sleek and sophisticated travel accessory. 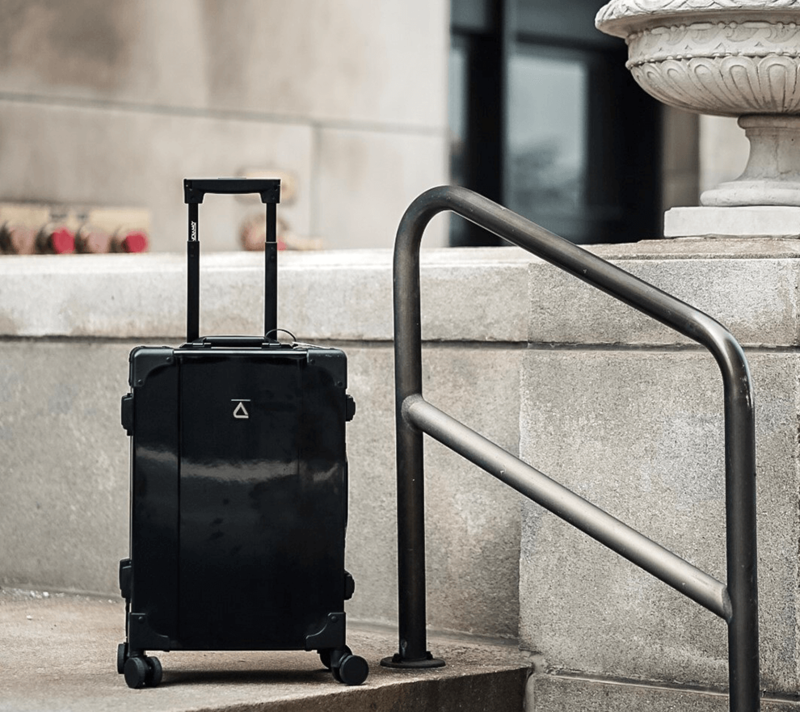 With our debut collection, the Andiamo Classico, we strive to go beyond the simple promise of durability to deliver luggage that plays just as big a role in your fashion identity as the clothes you wear or the car you drive. This is luggage made for the incredible go-getter, jet-setting, trend-forward style maven you are. 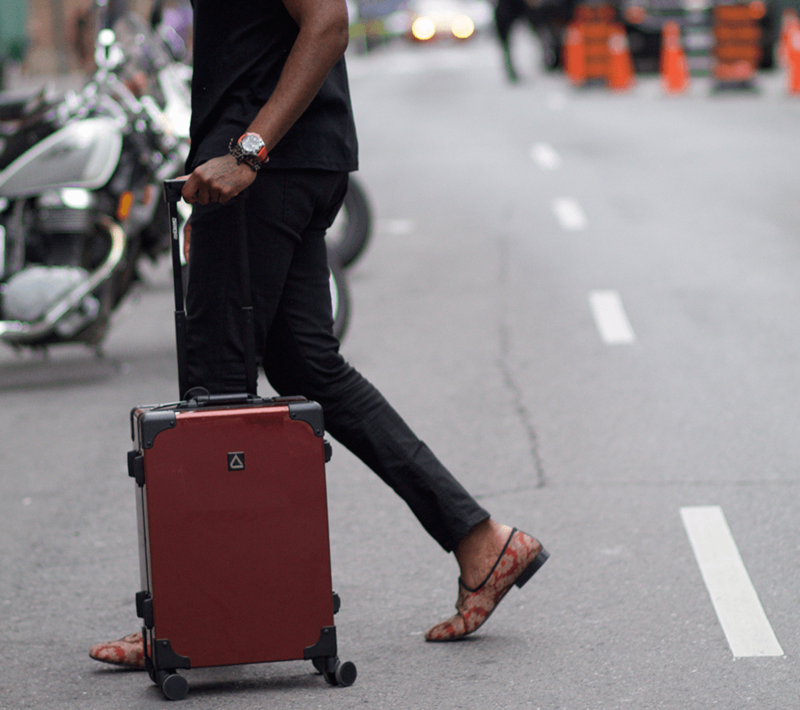 This is luggage redefining what it means to travel in style. Our current collection comes in three colors and in carry on size. We want to usher in a new era for luggage category, one that is led entirely by the stylish jet-setters like you. We hope you'll join us on our journey, but more importantly, invite us along for yours. Expect our team to check in after your vacation to ensure you had a great time or to ask what color you're most eager to see from us next. The Classico was designed for you, but ultimately our goal is to create a collection designed by you. So don't be a stranger - tell us what you love,what you don't and what you need to look and feel your absolutely best while traveling. We're in this together and we can't wait to see what we come up with next.